I recently purchased a Garmin Edge 500 Cycling GPS and wanted an “out-front” mount. Garmin’s own out-front mount mount was an incredible $40; for just a piece of plastic. Good thing for free enterprise and other vendors. SRAM makes one called the QuickView Computer Mount 31.8 . This is a much cheaper option at only $17 – shipped. It works great, as you can watch in various YouTube videos. 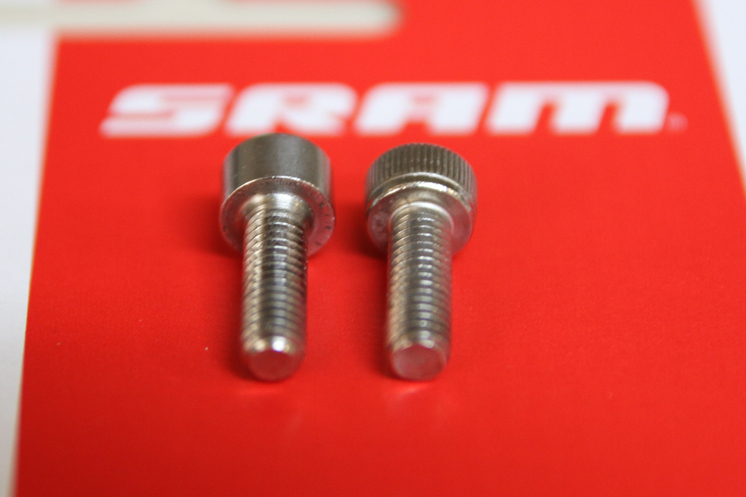 The only problem with the SRAM piece of plastic is that it uses a Torx® T25 screw instead of a standard hex screw. I was worried that out on the road, the mount would come loose from the tapered part of my handle bars and become useless. Since it uses that T25 screw, I would have no way of tightening it out on the road as a T25 bit isn’t what I usually carry. I actually have the Topeak Hexus II Multi-Tool and it doesn’t come with Torx® bits. 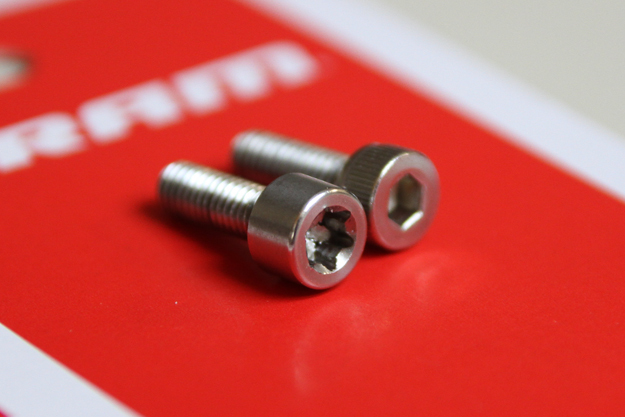 Reviews online universally pan this Torx® screw… I wanted to replace this useless Torx® screw with something more conventional. Fortunately for me, my local Ace Hardware had the exact part I needed! In the aisle with their other nuts and bolts contained the perfect replacement. It’s part #4399, a stainless steel M4 0.7P 12mm metric machine screw. It uses a standard 3mm hex wrench! For $1.04 + tax, I had a suitable replacement part that could be serviced in the field. 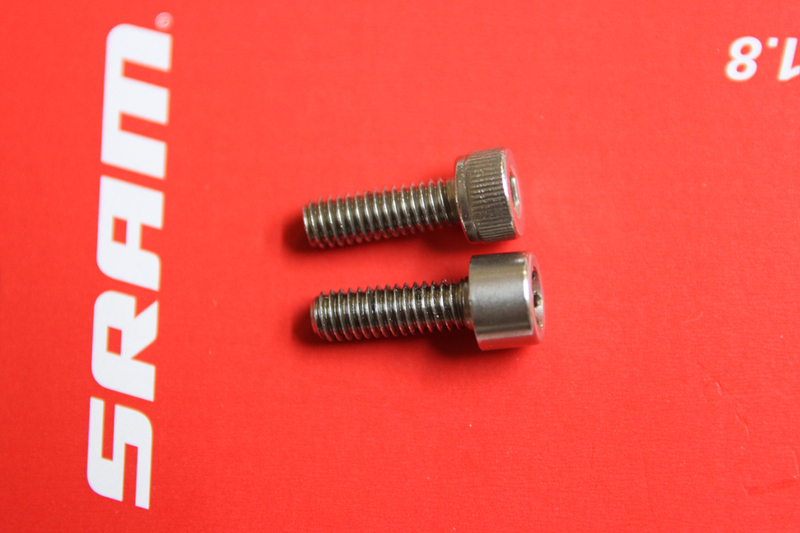 I don’t know why SRAM decided to go with such an odd screw instead of something more standard. For the quantity they would purchase, it might have cost $0.01 more per unit; but would reap dividends in the future because of word of mouth advertising. For you weight weenies, this new part might be a thousandths of a gram lighter too! 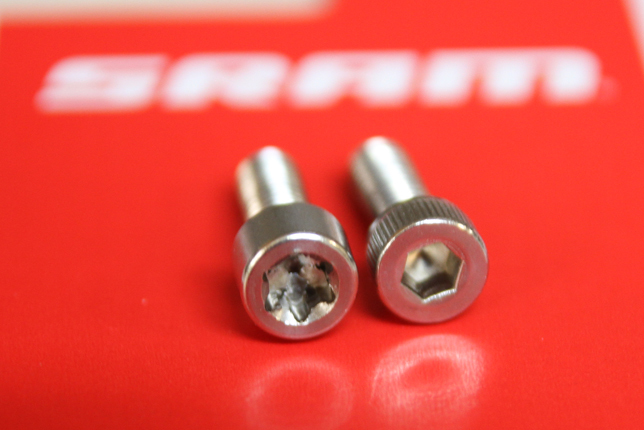 In the photos below, the original screw is the one with smooth sides, Torx® head, and slightly longer.